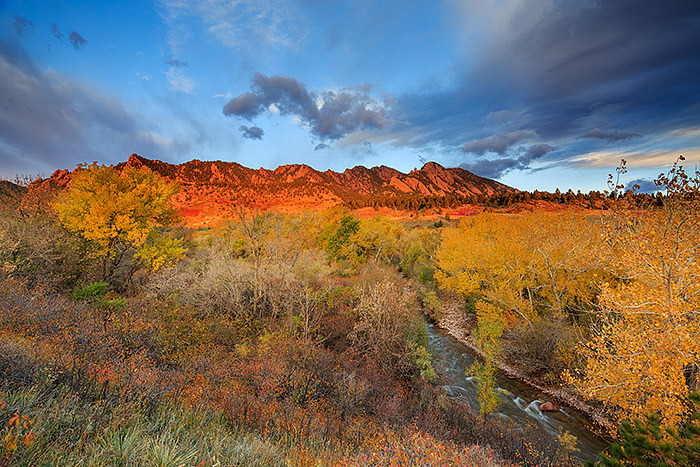 Patches of sunlight illuminate the Flatirons as a dramatic sunrise unfolds over Eldorado Springs and Boulder. South Boulder creek, still running strong this late into the season rolls on through the landscape as the creekside Cottonwoods display their autumn colors. Photo © copyright by Thomas Mangan.